On August 11th, the Nagano City Art Center held the Shinshu Cultural Festival 2018 Rock Music Department. 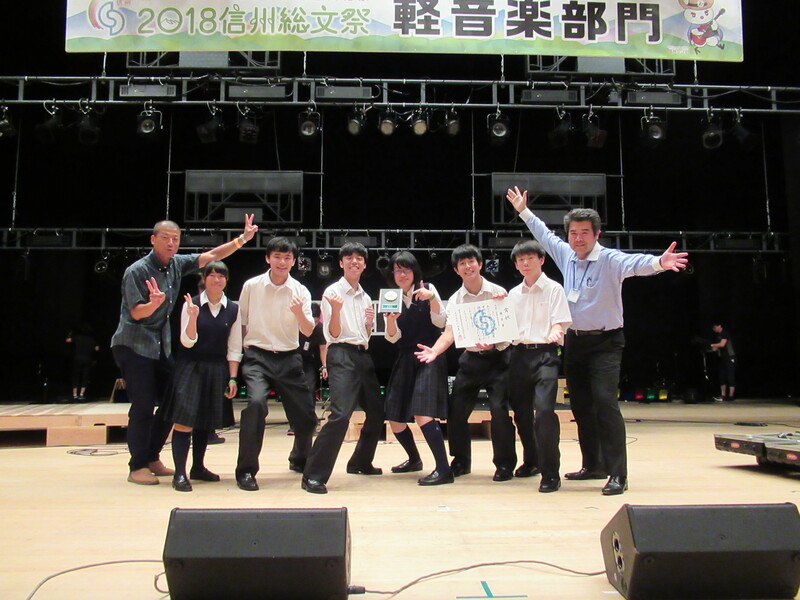 In the National High School Cultural Festival Rock Music Section, Saitama Prefecture was represented by a band from Kokusai Gakuin known as “Sparkle”. They played in front of an audience of 1,500 people and won second place for their outstanding performance! The Shinshu Family festival of 2018 is sponsored by the Agency for Cultural Affairs and the Nagano Board of Education, and it has been called the interhigh of the department. It will be the largest cultural high school festival contest in Japan, where about 20,000 high school students will participate.